Pupils are admitted to school in accordance with Wiltshire LEA Admissions Policy. A copy of the school’s Admission Policy together with an Admissions Form can be obtained from the school office. We have an annual entry so children who are four years old before August 31st may join our school in the following month, September. There is no compulsion for your child to start school at four if you feel he/she is not ready. 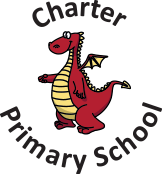 There is an Induction Programme in place for Reception children which include a number of events and activities to help them settle into Charter Primary School with confidence. The programme includes liaison visits by the class teacher to the nursery settings; Story times; Induction visits and a parent evening. Should you wish to complete your application for Charter School on line please click here. A downloadable copy of the application can be obtained by clicking here. A guide to completing the application can be obtained by clicking here. You can find the Guide for Wiltshire residents seeking a primary school place here. A downloadable copy of the application for ‘In-Year Transfer’ to Charter School can be obtained by clicking here. At eleven years of age the children transfer to the secondary schools. At present, the majority of our children transfer to Abbeyfield School but some also choose Sheldon or Hardenhuish schools. We believe that links between primary and secondary education are important and so we work in partnership with all our local secondary schools.